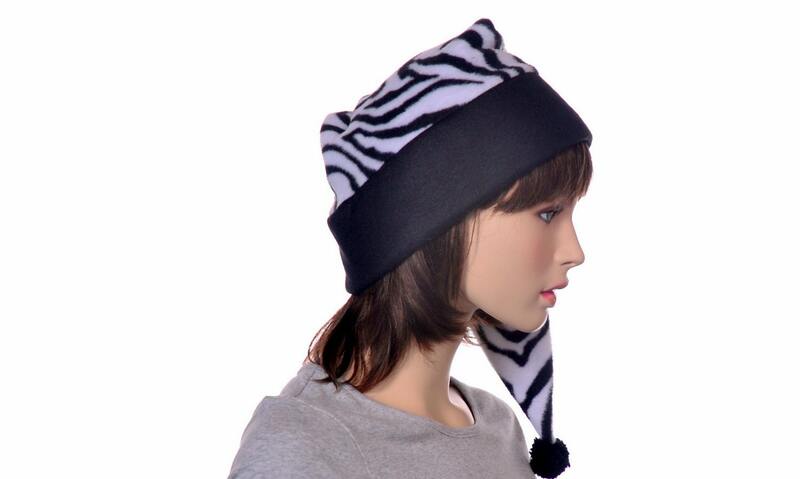 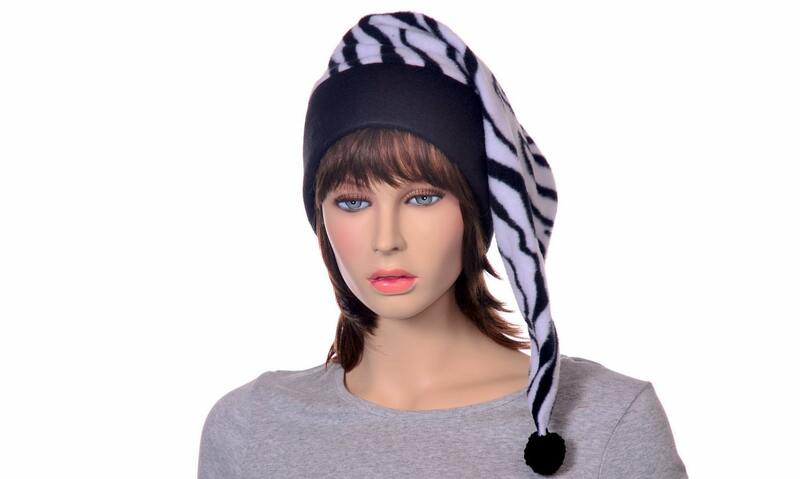 Womens zebra print fleece, long stocking cap. 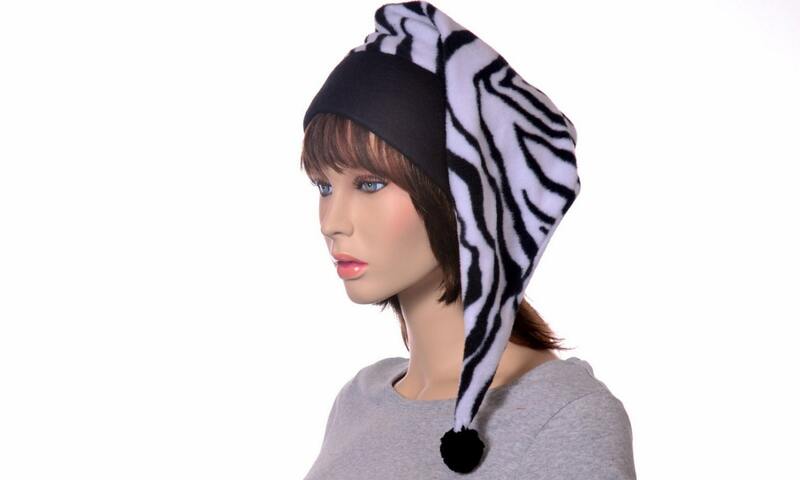 Zebra print fleece hat with black brim and hand tied yarn pompom on end. 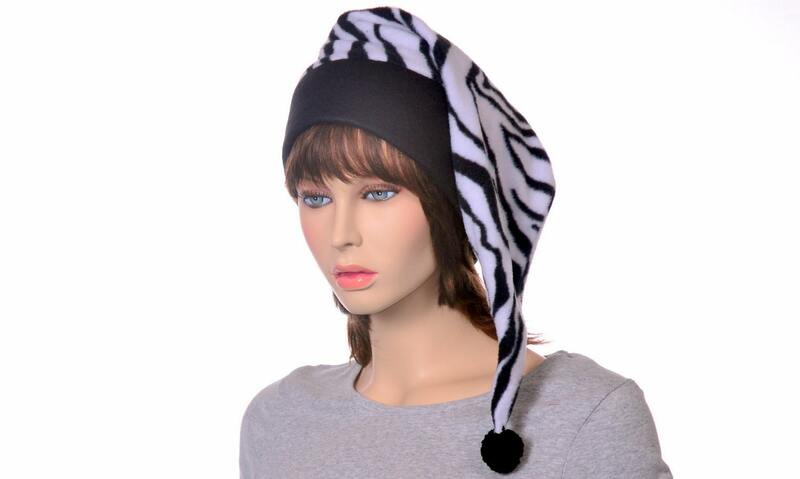 Measures about 23 inches long. 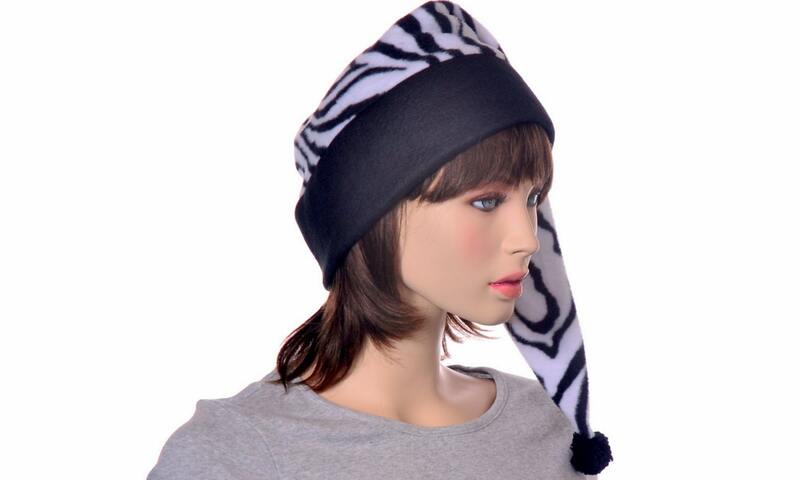 Double thick headband.